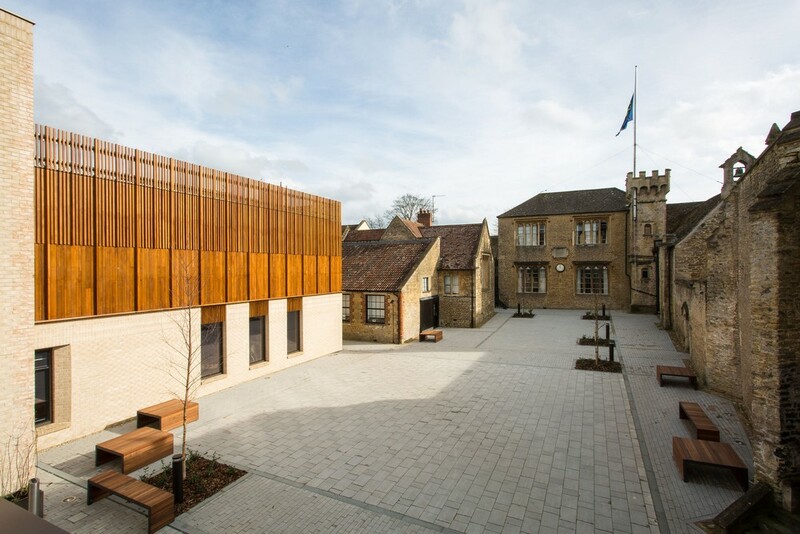 King’s Bruton has unveiled a new building for its Music Department, designed by Levitt Bernstein for the school’s quincentenary in 2019. 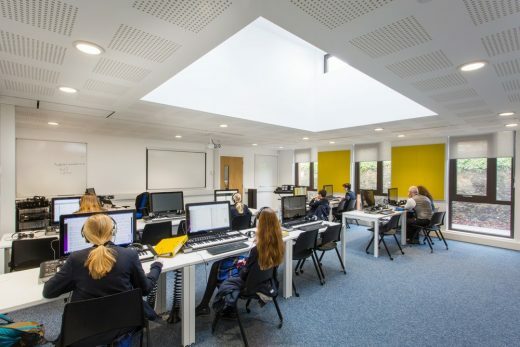 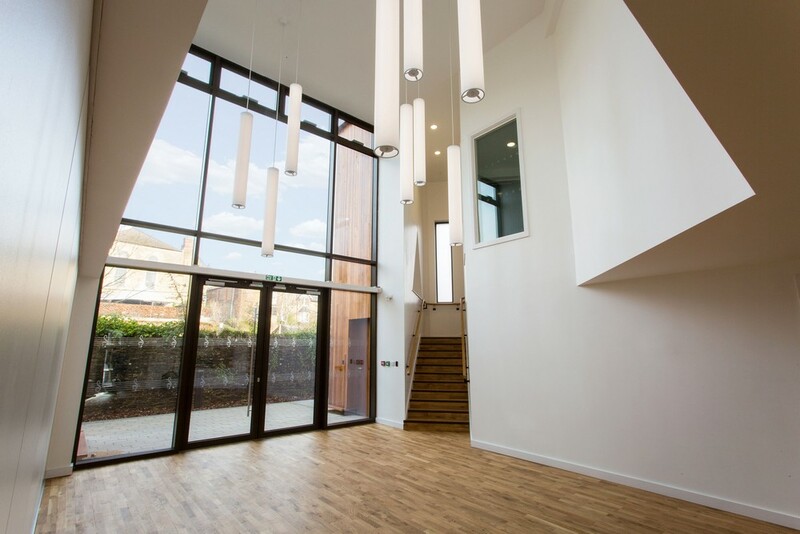 A disused corner of the school site has been transformed to create a new building for all of the school’s musical facilities, including teaching and rehearsal space, a recital hall and industry-specification recording suite. 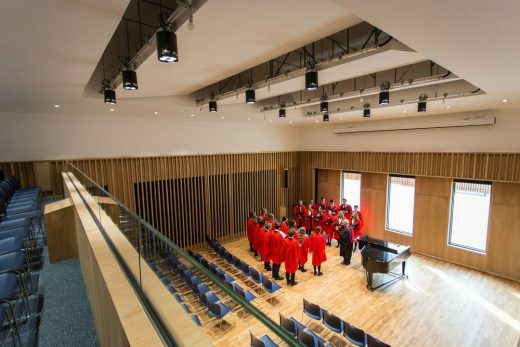 This high quality, purpose-built facility can accommodate growing numbers of pupils, befitting the outstanding standards of music at the school, as well as offering exceptional music facilities for the Bruton community. Sat in the heart of the 16th century estate and within the Bruton Conservation Area, the design is inspired by, and carefully responds to, this sensitive context. 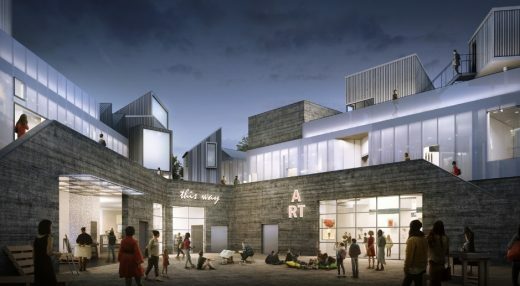 The site is enclosed on three sides by listed stone walls, which have been protected to create and define a new landscape at the heart of the estate – linking the new building to the rest of the school and encouraging activity where there is currently very little. 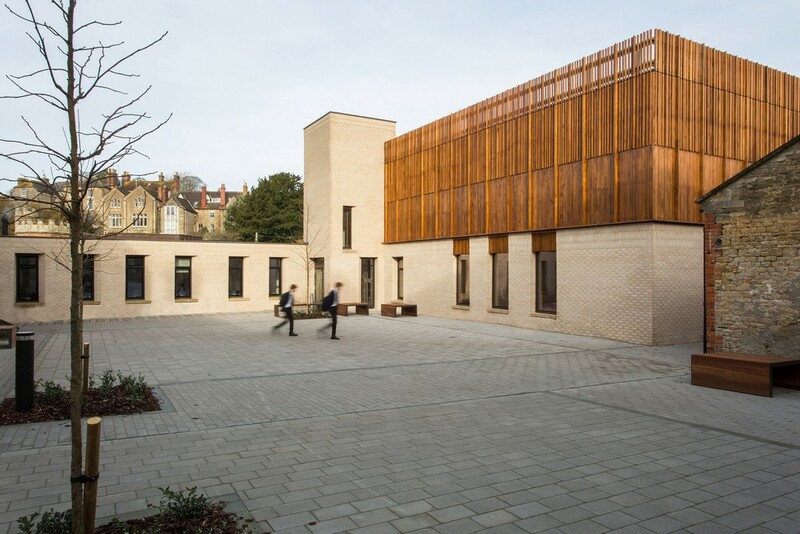 A new two storey tower, inspired by the character of the nearby Headmaster’s tower, marks the entrance. 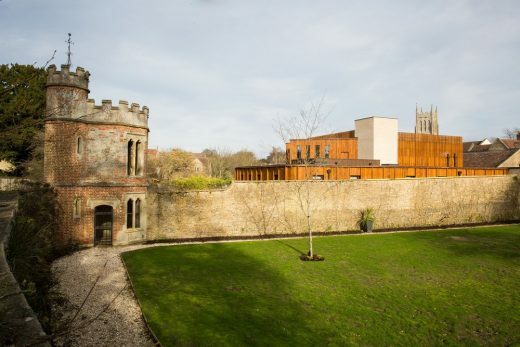 Finally, a new riverside walkway strengthens the relationship between the new and historic contexts, and between the school and river respectively. Predominantly single-storey, the form of the building responds to key views into and from the school, maintaining an important connection between the courtyard and wider context. 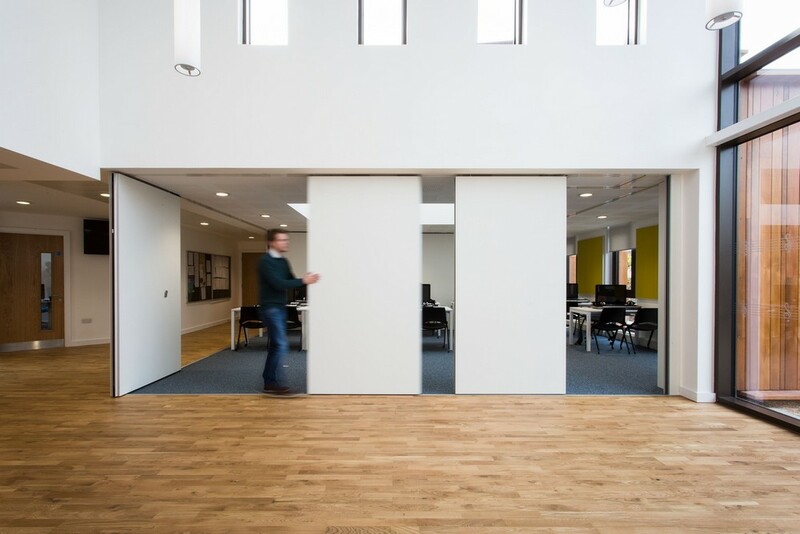 The material palette embodies the key architectural concept of contrasts; between old and new, and hard and soft. The new wall and tower provide a striking, modern and complementary aesthetic that references the solid character of the existing stone walls without trying to compete with them. 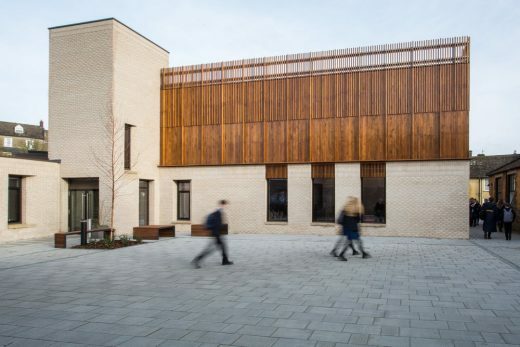 In contrast to the hard masonry frontage, a soft, natural timber cladding system wraps around and envelops the building, culminating in a rhythmic arrangement of vertical batons to the courtyard-facing façade of the recital hall. 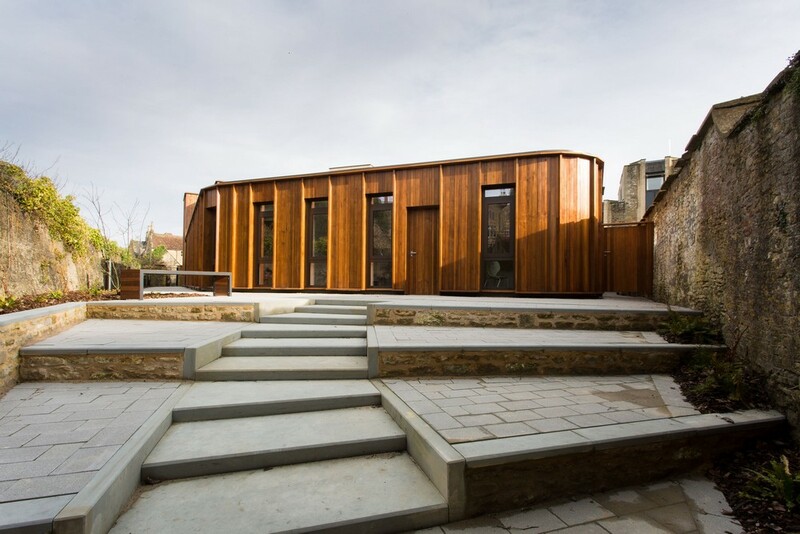 A sedum roof helps to soften the roof appearance when viewed from higher vantage points, whilst attenuating rainfall and insulating practice rooms from rain noise.